Sconti su tutte le prenotazioni! VEDI PREZZI & PRENOTA ADESSO! SCOPRI LE NOSTRE PROMO INVERNALI! We had a great sailing week with MSW in Liguria! Visited the beautiful villages of cinque terre, experienced some really nice sailing by the coast line and really enjoyed the boat life. The service and all contact with MSW was fantastic. Definitely recommend everyone to sail with MSW!! Many thanks for a fantastic vacation! As a group of 10, doing this boat trip was by far the most enjoyable and most efficient part of our holiday! Gustav went above and beyond what we could have expected – he pretty much planned the trip, ensured we saw the best things and that we were always having fun. I will definitely recommend this trip to anyone. Would rate 10/10! Right from the get go we were looked after by Gustav and his team.As non of us had ever sailed before, it was great to know that we could hire a skipper through My Sailing Week. The trip was a breeze to organise, and we got to see some truelybreathtaking parts of the Cinque terre area – not to mention the dolphins that swim right by our boat while we were sailing! 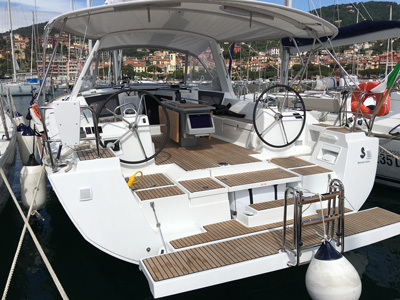 I rented My Sailing Week’s Oceanis 41 “Mediterranea” and I must say I was surprised how nice the boat was. Inside it looked like new. 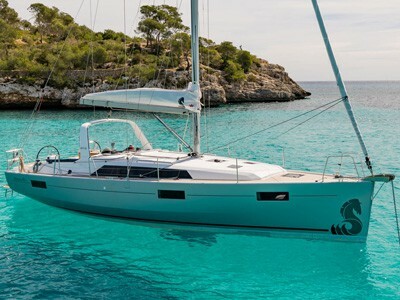 I have rented several charter yachts before and I think My Sailing Week is doing a great job! We will return! My Sailing Week è specializzata in moderne barche a vela, equipaggiate con comodi optional che fanno la differenza. A noi piace consegnare barche perfette e le nostre barche sono caratterizzate da un livello di manutenzione e pulizia molto alto. Il nostro cliente tipo è uno che cerca qualcosa “in più” per le proprie vacanze in barca a vela. Con My Sailing Week è facile aggiungere comodi servizi extra di altissima qualità al tuo noleggio barca. I servizi sono stati studiati con grande attenzione ai dettagli e con rispetto per l’ambiente. Con MSW All Inclusive trovi la barca già sistemata al check-in, mentre MSW iPad fornisce WiFi a bordo tramite hot-spot. Speriamo che il nostro sito web sia chiaro e semplice da usare. Potrai verificare la disponibilità delle nostre barche a noleggio in tempo reale e prenotarle in pochi semplici clic. Tuttavia, se hai domande prima di prenotare la tua barca, siamo felici di aiutarti. Usa il Live Chat, chiamaci, mandaci un’email o vieni a visitarci nel nostro ufficio a La Spezia.